Just as seen in picture! Haven't unpacked yet...waiting to move, but checked out quality and colors and exactly what wanted! Very pleased. Was surprised at the quality of cloth. I bought three different ones. They look very nice and will give me a good change every couple of months. Will see if they hold up as well as I expect them to. 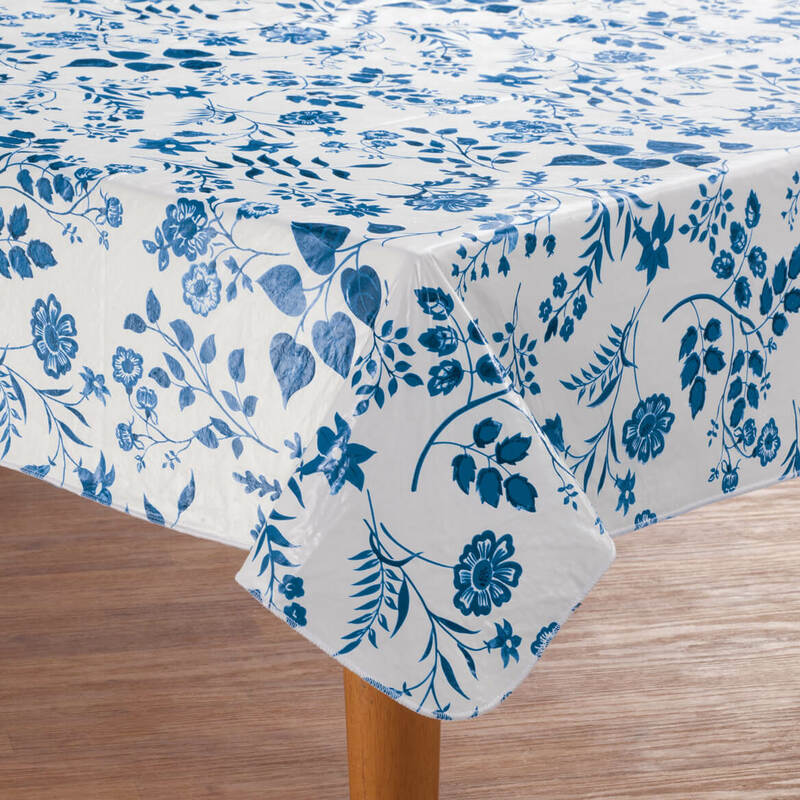 Nice vinyl tablecloth makes for easy cleanup. My mom bought a lace tablecloth from Kimball years ago that looks like a real lace. She hardly use so I am now using for when company comes. I am glad you still carry that as well. 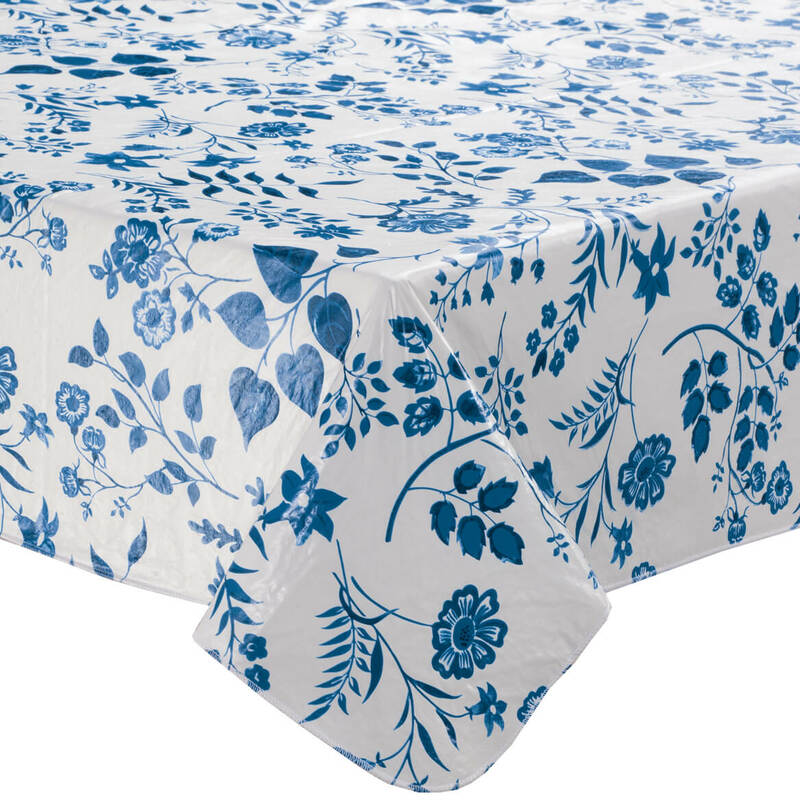 Something for my mother since she wants a blue vinyl tablecloth. I had ordered these 2 before from your catalog and really liked them; decided to replace them. Table cloth matches my breakfast room decor and protects table. 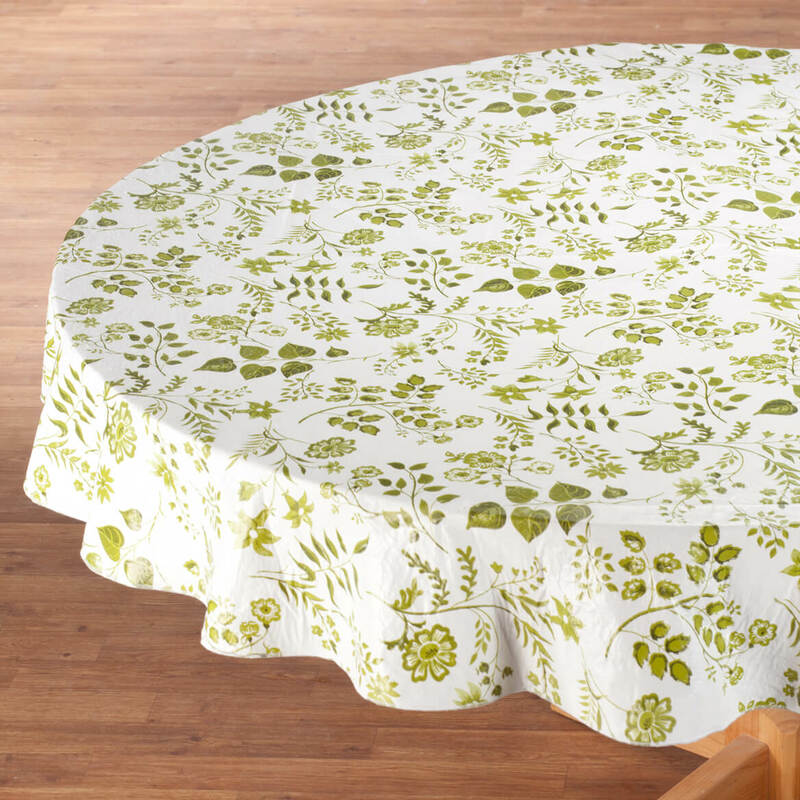 Previously ordered fitted table cover and satisfied with quality. Perfect for every day protection of wood finish on table. Liked the pattern and color. I need a tablecloth with a backing on it and wanted something a little different from what I had last time. I was looking for large, round, vinyl (easy to wipe clean) table cloths for the staff room at work. These are hard to find where I live. My daughter and her family just moved to Texas. They bought a house and just ordered table etc. for kitchen. She need to cover the table to protect from play dough, spilled milk etc. 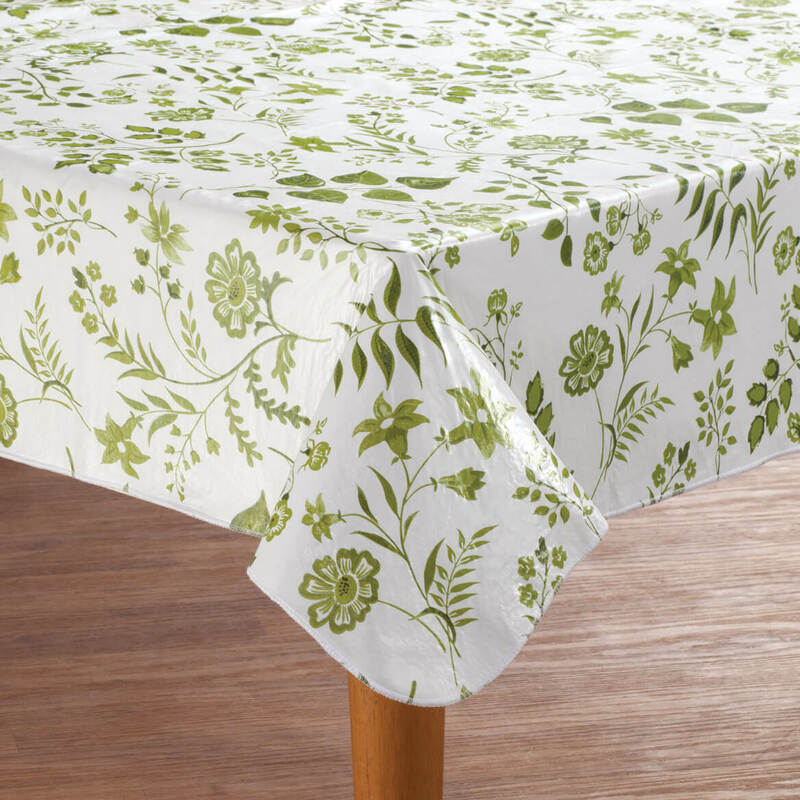 This table cloth is right size and is needed. 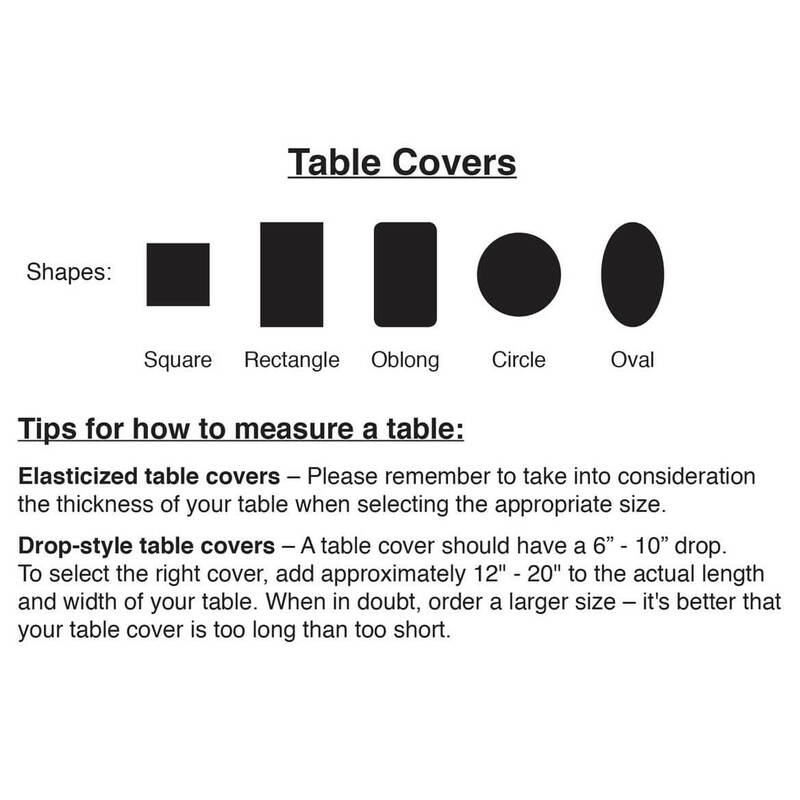 Her measurement of table, 35/71. It looks good, and practical. Easy to maintain. I've shopped before with Kimball and was very pleased with my order. 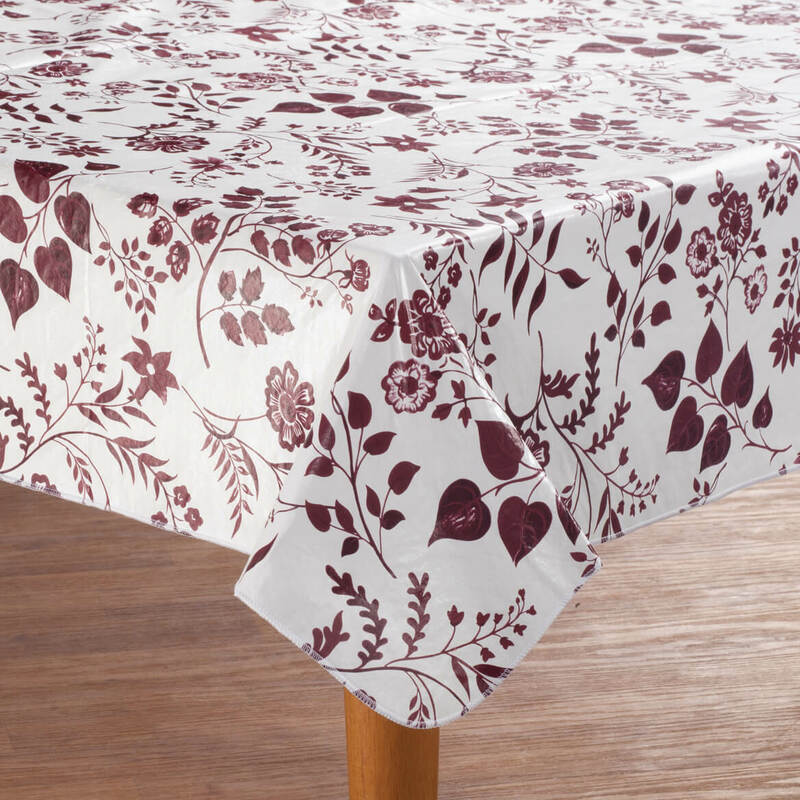 Pretty will look great in my kitchen table. I like smaller floral and less colorful patterns. I need a waterproof covering for a wooden table so I can block my knitting. I liked the color, pattern and that it was vinyl with a backing. I love the light floral design and the rich burgundy color. I'm glad there were several size choices as well. Loved color and pattern. 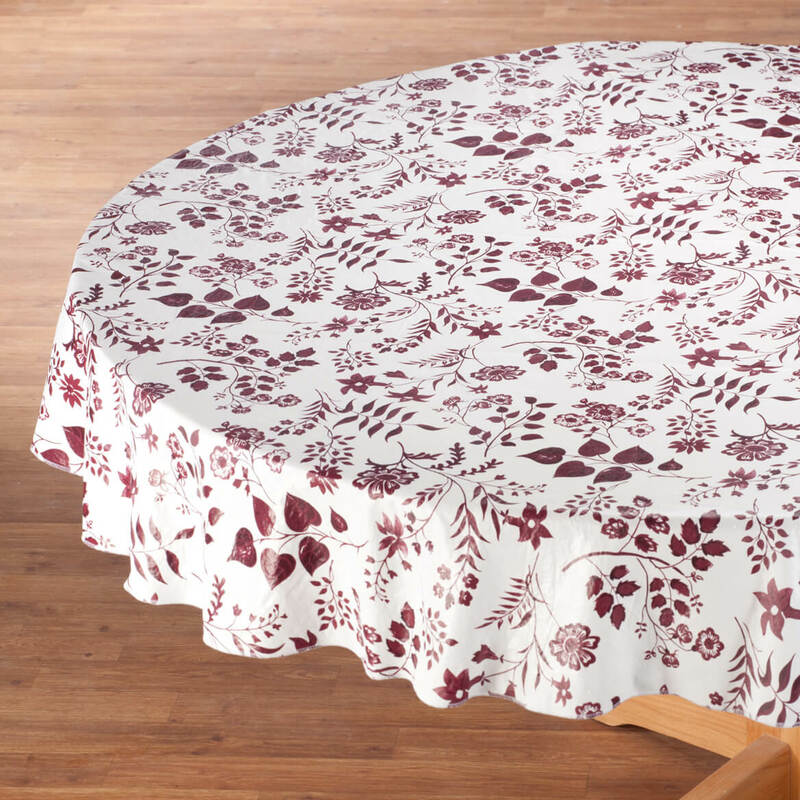 Also protects table surface underneath and is so easy to clean. 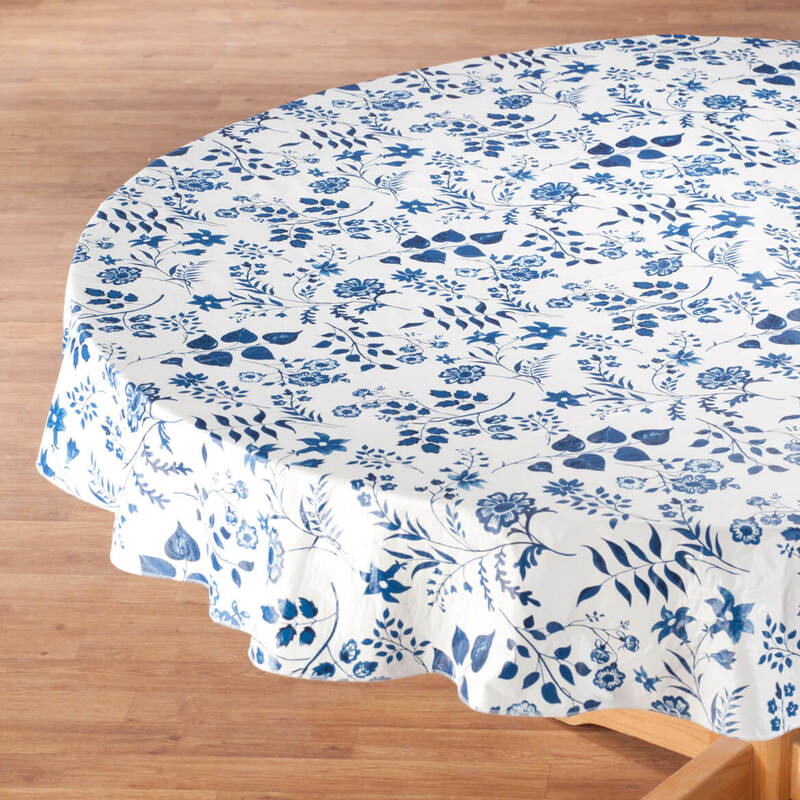 Finding an oval tablecloth to fit my table has been difficult, to say the least. I was happy to find a few choices at Miles Kimball. Catalog said Free Shipping for orders $39 or more from this catalog. But now I see that is not true.